Wahoo!!! We expect a TON of ad scans this weekend! 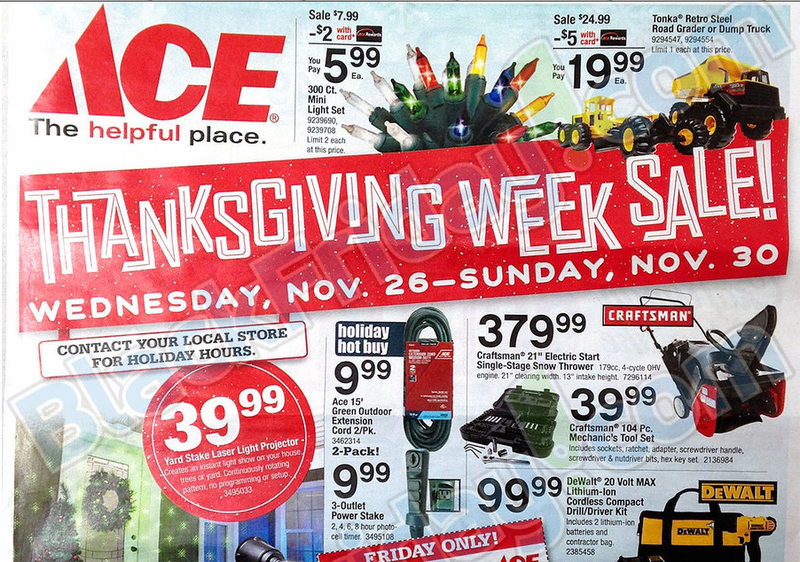 This Ace Hardware one was just leaked can can be found HERE. 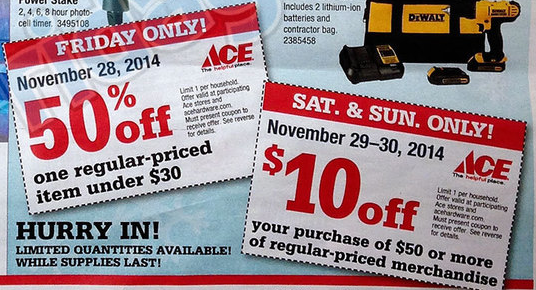 Make sure you have your Ace Rewards cards for the best savings. Friday only you can save 50% off of one regular priced item under $30. We were looking at one of those laser light shows for this year, so this will for sure be on our list! This post may contain affiliate or referral links. MamaBreak may earn a commission on click-thrus from this page. We only recommend products that we LOVE! Thank you for supporting MamaBreak. 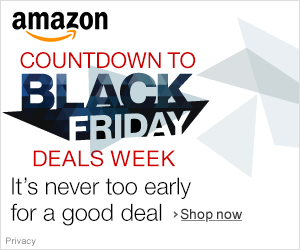 Amazon Countdown to Black Friday 2014 STARTS 11/1!!!! Looking for just the toys? Amazon listed their Holiday Toy List Amazon Lightning Deals HERE. We are so excited! Doing a happy dance over here! This post does include affiliate links. MamaBreak may earn a commission on purchases made through links on MamaBreak. We thank you for supporting MamaBreak! They too will be opening at 6 p.m. on Thanksgiving night. Seems to be a theme for stores so far. $19.97 Ladies Rampage Boots, selection of 9 styles. $19.97 any size Living Quarters reversible down-alternative comforters. Available in a variety of colors and prints. 40 - 60% off Entire stock of coffee makers and accessories from Keurig, Cuisinart, and more. Buy 1 Get 2 Free Men's Ruff Hewn and John Bartlett Consensus Sportswear or Pants from Izod, Savane, Haggar and Weatherproof Vintage. $29.97 Men's and Women's Columbia fleece. $14.97 Living Quarters twin size flannel, fleece or cold weather performance sheet sets. $19.97 Calvin Klein Performance fleece jackets, vests or separates. 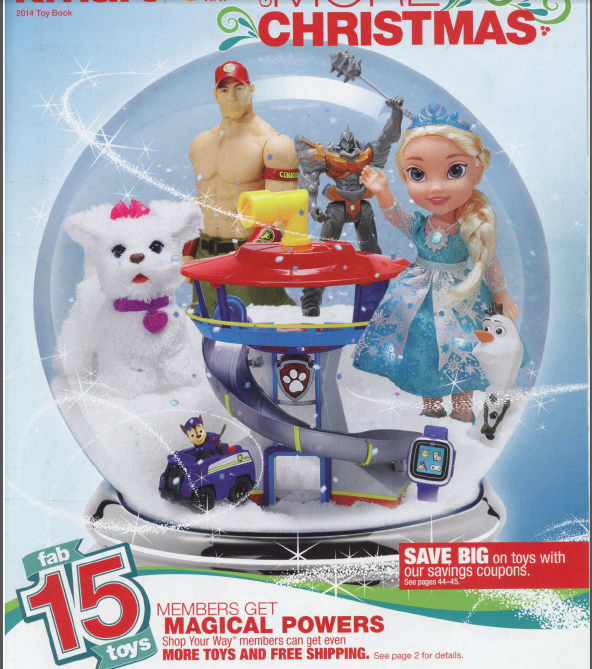 50% off Entire stock of Mattel and Fischer Price toys and games, including Disney Frozen Toys and Décor. $9.97 Your Choice Toastmaster Small Electrics. Choose from waffle maker, 4-slice toaster, cool touch deep fryer, 10x16 griddle, 12 cup programmable coffeemaker and 11" skillet. $179.97 LG 32" LED HDTV. 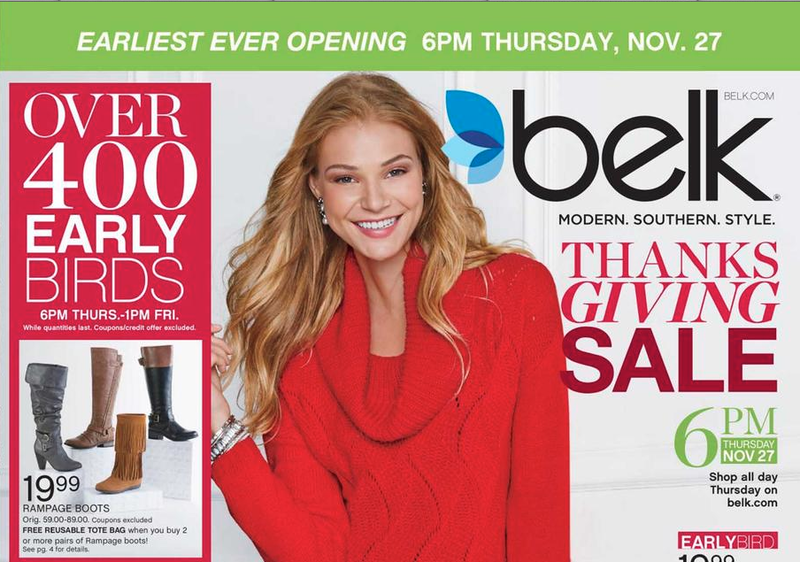 We have Herberger's as our Bon-Ton store in the area (the other stores are BonTon, Bergner, BostonStore, Carsons, Elder-Beerman, Herbergers and Younkers , and there is ALWAYS a $10 off of $10 coupon in the sales ad, so MAKE SURE to get the paper for that coupon! There are some restrictions but I have always purchased something nice. Last year, I also got a nice pair of Emu boots during their after Thanksgiving sale! Garmin Vivofit Fitness Band Reg. $190, Door Buster $79.97. Ace Bayou Bean Bag Chairs Reg. $64-$82, Door Buster $19.97. Entire stock of sports throws, available in NCAA, MLB, NFL or NHL teams, over a 100 teams in all, Reg. $56-$70, Door Buster $19.97. Are you ready for another look of the week? 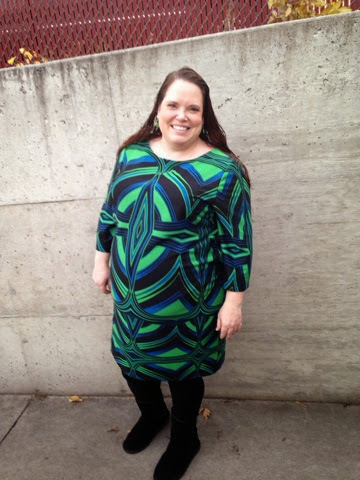 I was not entirely sold on this dress on the Gwynnie Bee website, but it is kind of growing on me. Unlike the photos online, this dress is not black and white, but has many purples/ dark pinks, as well as gray, black, cream, and white. It really is a stunning print. This is an easy one to enter because it is to thank all of our Facebook fans for helping us to reach 10,000. The giveaway is pretty simple. You just need to be a Facebook fan to enter. There are 21 prizes total that will go to one fabulous fan! We collected some of our favorite items from subscription boxes over the past year, and now it is your chance to enjoy them! We made it a mix of items so there is something for everyone to enjoy! In a move that Target seems to think will be a game changer for them, they are FINALLY offering free shipping. On ANYTHING. Even clearance. From now until December 20th. You can read all of the details on their site HERE. So what do we think Mamas? Will this change the way you show this holiday season? 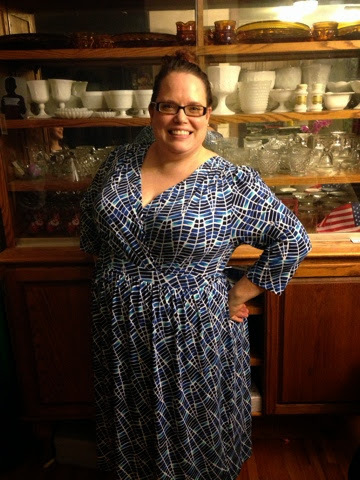 Well, my new Gwynnie Bee dress came as a surprise yesterday! Today was a day FILLED with meetings and wow am I loving this dress. I cannot even describe how comfortable it has been ALL DAY! 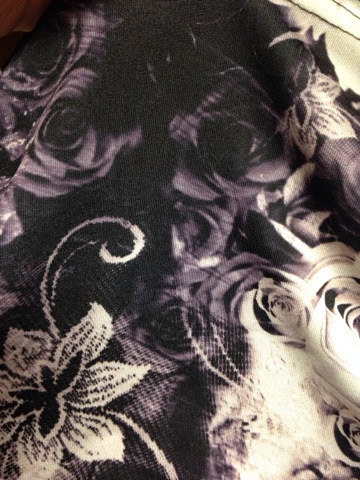 The fabric is amazingly soft! It is made from Modal/ Spandex, and I don't know what modal is (quick google here), but I feel like I need more of it. The site says the dress is sideways chevron but I don't get that at all when it is on? I almost feel like I have the luxury of wearing cozy pajamas all day today (which has made me VERY happy). I think I may actually buy this one! Wow what a prize pack! PERFECT for the holiday season that is slowly creeping nearer! 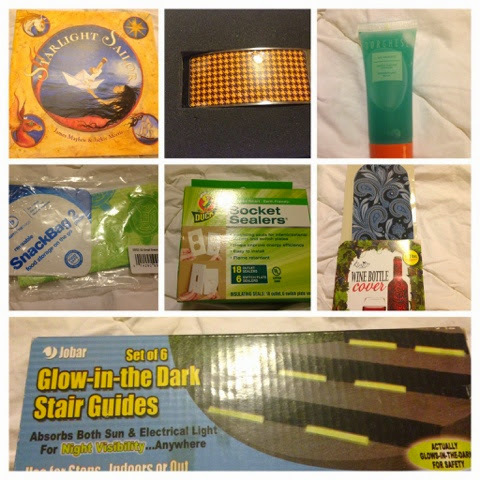 The Smart Kids, Bright Futures Giveaway has begun! Smart Playrooms is all about encouraging creative and independent play to complement your child's schooling. The Westchester and CT-based duo of teachers organizes amazing, smart playrooms for families and businesses and wants to combine their love of teaching with their support of amazing businesses. Join us in this exciting giveaway to encourage families to get active, have fun, and support creative play! 31 amazing brands have come together to give you a chance to win ALL of these awesome products! ONE LUCKY WINNER will receive a grand prize package of 30 prizes! Participating brands and sponsors are not eligible to enter the giveaway. Everyone who enters the giveaway will receive something special after the giveaway as a thank you. The giveaway will run from October 16th to November 4th. Entering is easy and can be done below via our Rafflecopter. Below the entry widget are all the prizes! REMEMBERÖ.the more points you earn the better chance you have to win! The Rafflecopter entry widget is below. Scroll below the entry form to get more info on our wonderful sponsors and prizes! We encourage you to check them out! Smart Playrooms is owned and operated by two teachers with many years of classroom experience and expertise. They bring the most effective classroom organization techniques and learning strategies into your home. The Smart Playrooms System includes nine learning centers from pretend play, games, music and movement, building, to a literacy center and more. Using the most effective classroom organization techniques and learning strategies, Smart Playrooms will design and organize your play area to encourage creative, independent play. Watch your children play with the toys that you already own, instead of getting bored and constantly asking for new ones. Feeding your family well and ensuring that everyone is meeting their nutritonal needs can be difficult at times. Sometimes we just need a little help to get things organized. A family nutrition consult by a registered dietitian-nutritionist is what you need. During this one hour consult we'll assess where your family eating habits are, do some troubleshooting and put together a simple meal plan that is healthy and easy to prepare. Healthy snack ideas and recipes are included. The SwanlingÆ Slumber Swanô is the perfect gift for both boys and girls. The SwanlingÆ Swan is made from the softest materials and will soon become your childís best friend. The small and medium size swans are equipped with a gentle and soothing rattle, all of the swans have child safe eyes. The SwanlingÆ Slumber Swanô is also made to attach to the Slumber Sleeperô, a 3-in-1 safe sleep solution. It is a mattress protector, fitted sheet and sleep sack all in one. It is designed to help keep your baby safe, warm and centered. Although the sheet allows older children to move freely and change sleep positions, the Slumber Sleeperô unique design helps facilitate back sleeping and helps keep baby centered while in the crib, two important components of safe sleep for babies, and you get the added benefit of easily keeping an eye on them without adjusting your baby monitor frequently. Nothing is worse than a sore neck from sleeping uncomfortably in the back seat of a car. Avoid the dreaded head bob (or if multiple kids are in the back ó the head bump) with the Cardiff Booster Seat Headrest. This revolutionary, new device provides support and comfort for a child asleep in a moving vehicle. Its thoughtful design can also accommodate users of all sizes. By attaching to your vehicleís existing headrest with a simple, universal mount, the Booster Seat Headrest provides lateral support to keep a childís head and body upright; comfortably aligned in the seat as they sleep. If the kids catch a good nap while in the car they will be well-rested and not cranky! Not the most exciting of ads, but it shows that they are slowly trickling in. Make sure to clip the coupons if you do go to their Black Friday sale, which appear to be in the front of their ad. First 100 people will get a tote with at least a $5 gift card (one person will get a $100 gift card). This seems to be pretty consistent with their previous years. 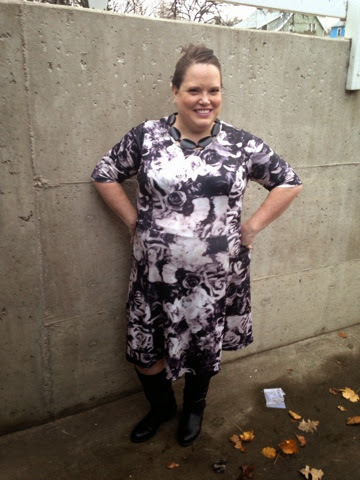 So, this was the second dress Gwynnie Bee sent me last week to make up for the dress that arrived with snags. 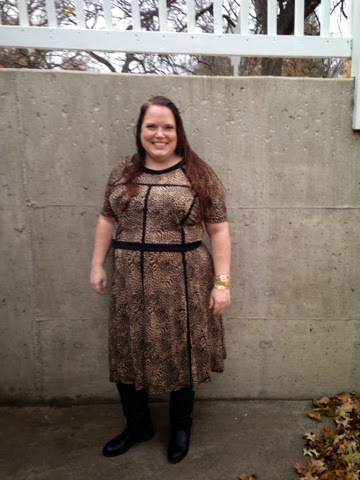 This is the third dress I have been able to try this month with my 1 month trial. So, I am not loving it. It hung realy weirdly on me. On the hanger it looked fantastic, but on was a different story. Because it is a sweater dress and you could completely see through it, it came with a slip dress for underneath. I adjusted that to fit on its smallest fit, and it was still far too big. This was just an awkward fit. 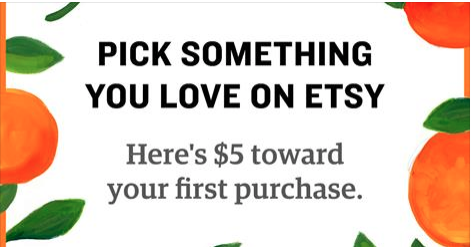 If you are a brand new customer to Etsy, you can save $5 off of your first order! I had no idea until I made a new order today. We buy TONS from Etsy. Today was an Anna cape, last week was more materials to make hair ties! This post contains referral links. MamaBreak may receive something in exchange for purchases made through this link. This will not impact your shopping experience, and we only recommend products we love. As always, thanks for supporting MamaBreak. UPDATE: At 3:30, KintCrate blocked me from leaving comments on their Facebook wall. Please note, the ONLY comment I ever left was repeating what our reader originally posted. Deleting comments AND blocking people from commenting is a HUGE BUYER BEWARE!!!! Hey Mamas! We review a ton of subscription boxes. I know, it is a bit of an obsession. 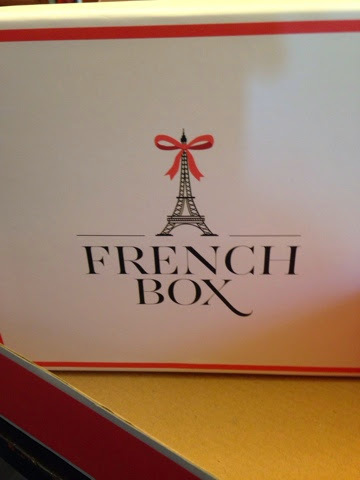 But when someone has a very unpleasant experience with a box, we feel the need to share that with our fans. This is not to make the company feel bad or to ruin their business. We believe that consumers have RIGHTS-- and that companies often will take advantage of their customers. Today, a fan alerted us to an issue with Knit Crate. Please note, this is not a CHEAP subscription AT ALL. It is VERY expensive. Also, please note I am NOT a knitter. At all. 'I love yarn. I love the idea of yarn being sent to my house. I just wish KnitCrate had better customer service. Instead of getting my Knitcrate delivered this month, instead I received a notice from the post office saying I had to go to the Post Office and pay the missing postage. An hour after waiting in line and paying 8.26 to retrieve my package, one could bet the relaxing feeling of new yarn had worn off. 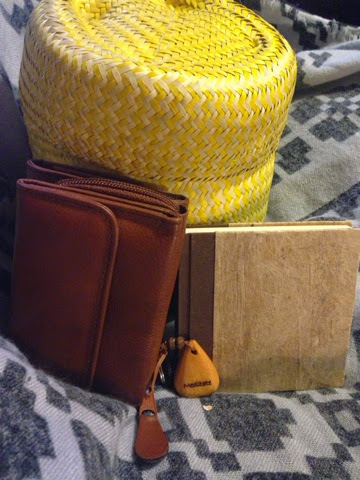 I emailed KnitCrate a photo of the package and the receipt saying I had (and did) pay. 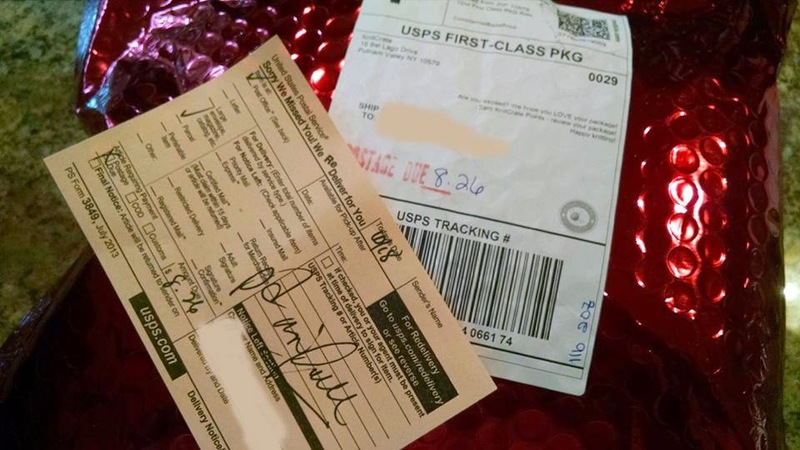 Knitcrate wrote me a quick email back saying "[I] should take this issue up with [my] local postmaster" Not quite the customer service I would expect from a luxury yarn box.' "
Within seconds of it being posted to KnitCrate's wall, they deleted it. So, I went to their Facebook wall and posted it again. They deleted it within seconds. We always are skeptical of any company that deletes complaints rather than addressing them. OK - I see from the "receipt" you provided, which is actually not a valid USPS receipt for payment made, that your package was delivered today. We confirmed delivery of your package at USPS tracking site that it was delivered today at 11:42 am, which is around the exact time you first emailed me so not sure how you spent an hour in line at the post office. Proper postage was paid for (we weight the package and our local post office weighed the package prior to shipment) and you did not provide a receipt. If you look at the receipt below, it clearly says there was postage due. We know that mistakes happen. We get that. It is easy to mis-weigh a package (which is clearly what happened here). But, this customer already PAID for the shipping with her yearly subscription fee. Last month, I signed up for the GlobeIn Chopra Artisan Box. 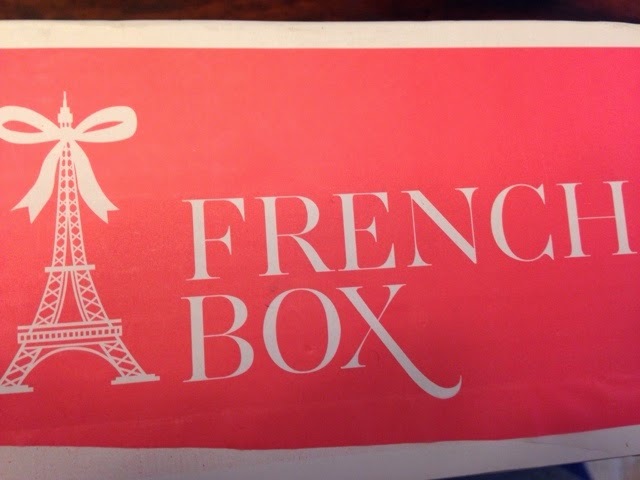 I was not really sure of what to expect, but I am loving this fun box. It brings you products products from worldwide artisans, and has a variety of items. I chose the Chopra box, but there are many options including jewelry, home, and unexpected and awesome! In the box are cards from each artisan that introduces you to them. I thought this was a really nice addition. Palm leave basket: Perfect for my desk! Wooden keychain with the word "meditate"
This is such a unique box, and I think well worth the value! 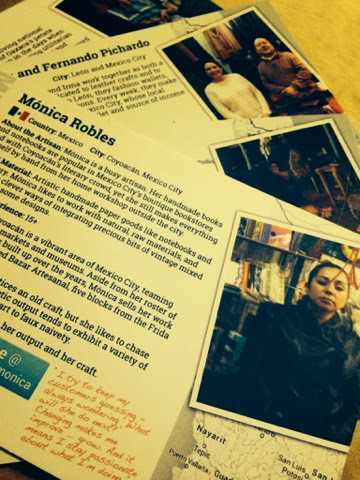 Everything is hand made and 100% of the proceeds go directly to the artisan. I really want to try out the home box next! 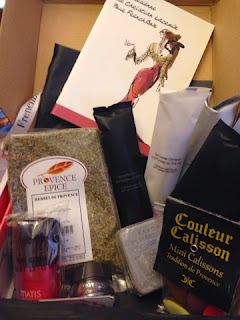 You can check out all of the box options at on the Monthly Artisan Gift Box page: http://globein.com/the-artisan-gift-box and don't forget to use the code FBFREE! This post contains affiliate links. MamaBreak may earn a commissions from sales made through the above links. We only recommend products we love! Thank you for supporting MamaBreak! Looking for Black Friday deals? Always a staple of shopping is Target's Toy Catalog! We will be using those for sure! We are especially excited for a new 50% off of a toy each day from 11/1- 12/24 with the Cartwheel app! We love Cartwheel! What a blast we had this Halloween. 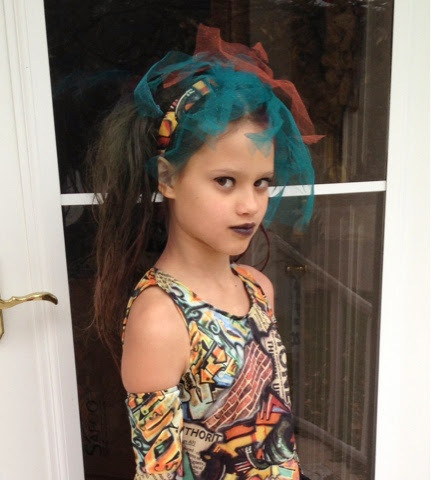 My oldest decided she wanted to be a punk rock girl, so we were thrilled to incorporate the colors from Sally Hansen and New York Color (NYC) into her look. We loved these polishes! They were a blast to use! They dried fast and lasted the entire weekend (which is impressive for my 11 year old!) 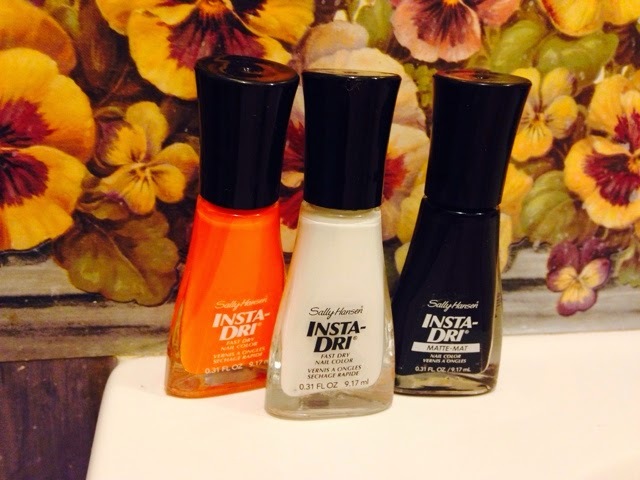 Colors in Sally Hansen Insta-Dri OMGhost, Scaredy Matte, and Pumpkin Queen. 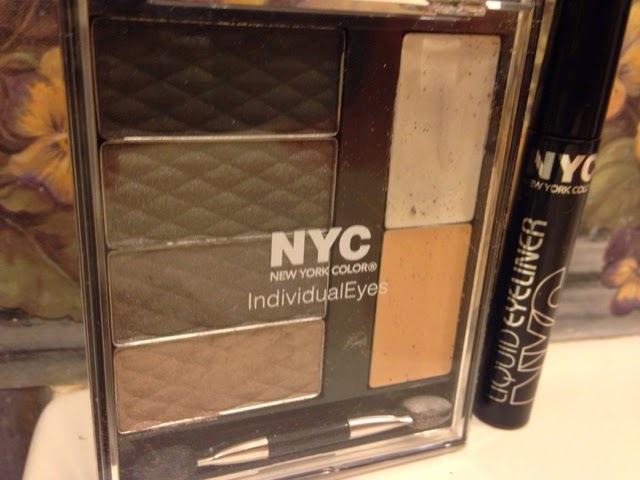 We also did some eye shadow (NYC New York Color in Hate the Light) and a little liner (NYC New York Color Liquid eyeliner in Black). And completed the look with a little black lipstick (NYC New York Color in Immortal Vixen)! What a perfect punk rock look these colors gave us! We loved that the makeup was super easy to apply (I never knew putting makeup on an 11 year old could be so hard!!!! ), and that it also was easy to remove when she was done. It was gentle on her skin, and was the perfect addition to her costume! 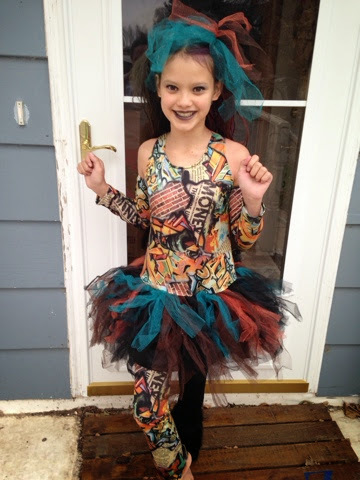 Thank you NYC New York Color and Sally Hansen for putting the finishing touches on my daughter's costumer this year! 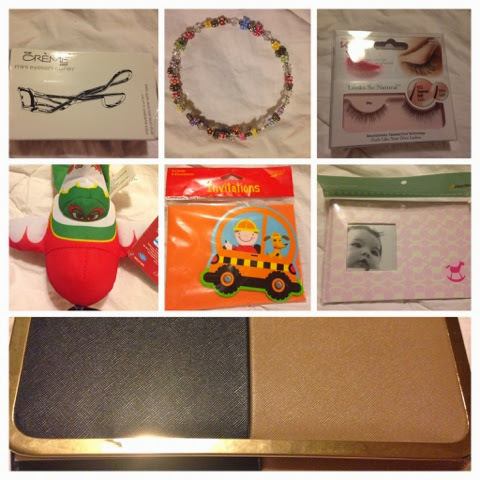 MamaBreak received products to review here on the website. We did not receive any other type of compensation. As always, our experiences and opinions are our own. Welcome to the ELPH Band Giveaway Event! Let's get this weekend kicked off with an all new giveaway perfect for Halloween! Mom Powered Media, ELPH Band, and fantastic group of amazing bloggers have come together to bring you this event, just in time for Halloween. Hosted by: Mom Powered Media Sponsored by: ELPH Band The ELPH Band is a link to your identifying information, such as your address, parent or guardian cell phone numbers and any other information you think is necessary, including medical conditions or drug allergies your child may have. How cool is that? 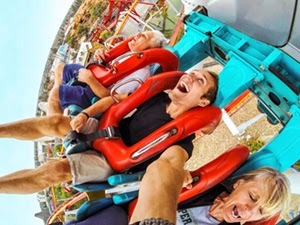 Whether you're traveling to a theme park, zoo, park, a crowded festival or even the mall, the ELPH Band can help find your child in the event he/she gets separated from you. It only takes one second for a child to disappear out of your site. The ELPH band is a non-toxic, durable, silicone wristband. It provides an immediate, highly visible form of identification with clear instructions directly on the band. It's easy to use with options to dial in or scan the QR code. ELPH Band does not put personal information, such as the child's name or phone number where people can see it when it isn't needed. What does ELPH stand for? Easy Lookup to Phone Home If your child get's separated from you, all your child needs to do is show an adult his/her ELPH band. That adult can then call the 800# or scan the QR code to get in touch with you to reunite your child with you! It's that simple! Once the QR code is scanned on a smartphone, a screen similar to the one below will pop up for them to get in touch with you. As you know, last week I received a dress with loose threads. I did contact Gwynnie Bee and returned it immediately. then chaos ensued. My next Gwynnie Bee did not show up as being shipped until Sunday, which means it realistically did not ship until Tuesday. They ship priority, so it was waiting for me when I got home. I would be all upset if this dress was not so super fabulous. They also offered an additional dress this week, so that will be coming this weekend!!! PERFECT for a fall day. 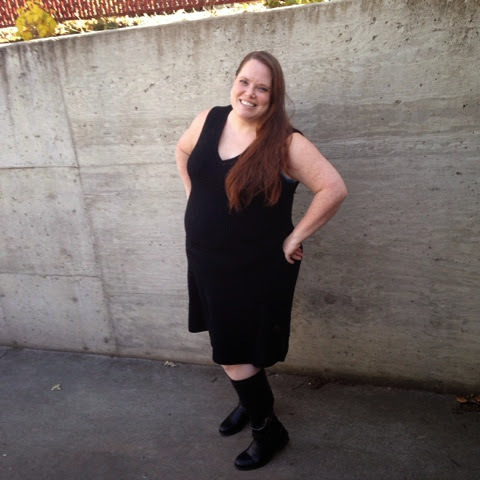 I am rocking it with my knee high boots (which I love and got on Zulily). I am just adoring this dress to to point that I actually may just purchase it and keep it! If you want to check out Gwynnie Bee for yourself, I only pay $37.63 a month for the subscription. If they keep sending me dresses like this, I am just going to keep on subscribing. It is HERE!!!! The very first Black Friday ad of the season. This one is for Harbor Freight. Loving the Grinder for $9.99 and the Oscillating Power Tool for $14.99 (this looks like a great gift for my dad)! It looks like the first leak of the season also has an actual Friday opening! 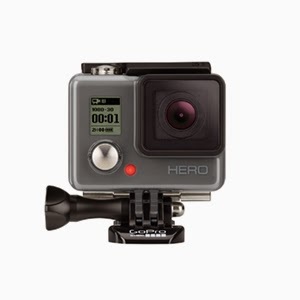 We are thrilled to bring you this giveaway from Hipoglos! I know $250 from Target will go a long way for one lucky winner this holiday season! For more than 60 (sixty) years, babies in Latin America have enjoyed the delight premium diaper rash cream, Hipoglos. Trusted by millions, Hipoglos is one of the most amazing diaper rash ointments available! Hipoglos helps prevent and treat diaper rash and skin irritation. It also helps protect chafed skin while helping to seal out wetness. Hipoglos goes on smoothly and wipes off easily, giving your baby relief from the very first use. Hipoglos ointment provides extra gentle care for your baby’s bottom, leaving your baby happy. Hipoglos is NOW AVAILABLE at Sedanos, Navarro and Walgreens! Or you can purchase it online at Amazon! One lucky winner will win a $250 Target Gift card to get their little one something special or for themselves! So head below for your chance to win! Giveaway ends on 11/03 at 11:59pmEST and is open to US. MamaBreak received compensation for posting this article. We only share items that we think our readers will love. As always, our opinions and experiences are our own. Are you looking for that perfect gift this holiday season? How about an early gift? You can get professional quality photos that you take yourself! I know that I struggle with finding moderately priced gifts, but a professional level camera is perfect! Every time we go to get our photos taken by a photographer, I am disappointed. I am able to snap beautiful photos of my kids at home all the time, and a professional camera would make that experience even better! 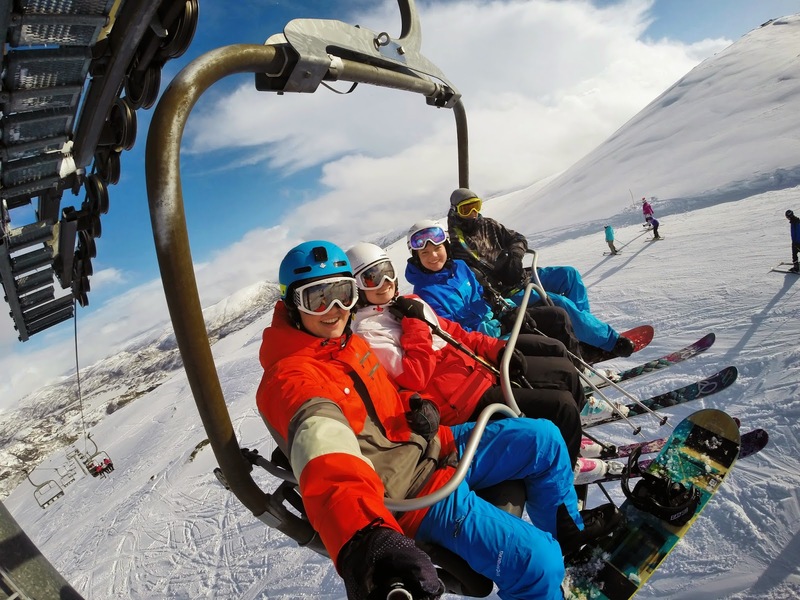 Why not turn to Best Buy for your camera needs this holiday season? 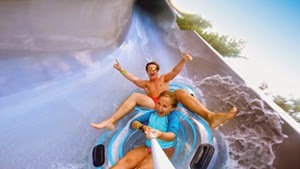 Check out these new GoPro cameras! Perfect for this year's holiday season! We are thrilled to join It's a Mom Thing Reviews for this fantastic giveaway for Hard Rock! The holidays are just around the corner, and we think this would be a great gift!!! *The information, gift card, gift pack and giveaway have been provided to me by Hard Rock International. No celebrity or musician has endorsed the "Does Your Child Look Like a Rock Star" Contest* Giveaway Sponsored by Hard Rock International! 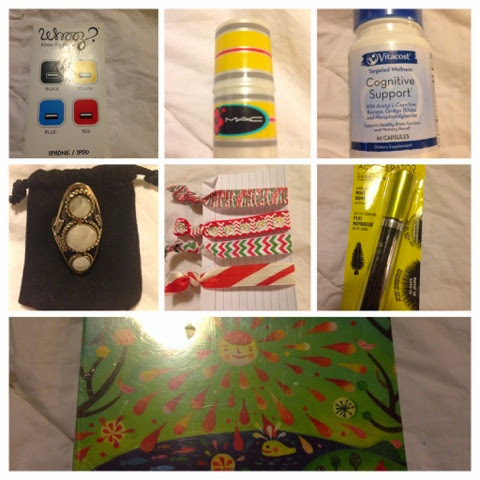 Giveway Hosted by It's a Mom Thing Reviews! 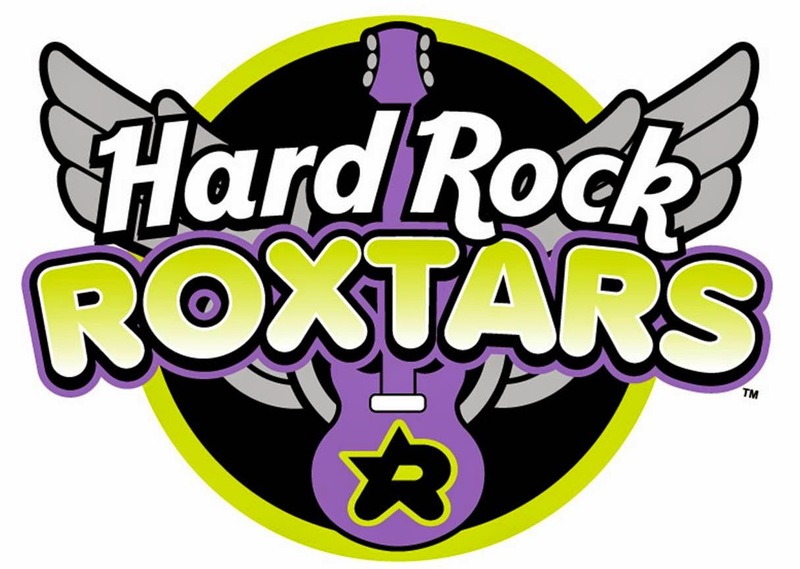 It's a Mom Thing says, "Hard Rock Roxtars is a cool band of characters designed to inspire kids of all ages to rock their originality! Kids are invited to rock along with band members Razzi™, Sir Kingston™, Styler™, Buddy Jr™, and Skiddley™ at Hard Rock Cafe's "Does Your Child Look Like a Rock Star?" costume contest! You can bring your little rock star dressed in their best costume to a nearby location for the chance to win a Hard Rock Cafe gift card or a 2015 birthday party for eight of the rock star's closest band members and entourage! During your visit to the "Does Your Child Look Like a Rock Start" contest kids get to meet the Hard Rock Roxtars, taste something from the new kid's menu, and see the new merchandise! Also during the night of the contest kids eat free with a paying adult! This contest will be held either the week of the 20th or 27th of October depending on location. Contact your nearby location to find out their exact date!" Enter BELOW! and a Hard Rock Roxtars swag pack! Wow! You mamas are on top of things this week! I have had several fans ask when we can expect the first Black Friday ad! You all have REALLY good memories. Harbor Freight has been the first ad to come out in the past 5 years, I believe. Last year, that first ad was released on 10/15. Macy's and Gamestop were ALSO released on that date last year (these were LEAKED ads that were quickly pulled). The big ads that people are always looking for came out on 11/11 (for Target, Walmart, Kmart), with a few following on 11/12 (Best Buy and Sears). This is only a sneak peek. Our source tells us that these will be in the Black Friday ad itself, but CVS will actually run 14 Free after ECB items in their ad that week (which is in addition to the above list). Now would be a great time to stock up on coupons for the above items. As always, we are trusting our source for accurate information, and cannot guarantee any of the above prices! Remember to follow MamaBreak on Facebook, Twitter, and right here on the blog as we bring you all of the Black Friday leaks! This post contains affiliate and referral links. We only recommend products we think our readers will love. 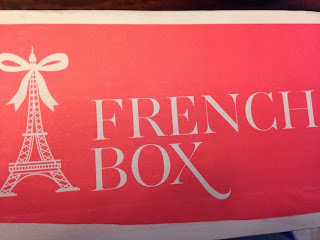 You all know how much I love subscription boxes! This was a box that a few friends tried, and when they dropped the price AND had a coupon code, I knew I had to try it. I ordered 2 Box of Joys and paid $20. They were $12.50 each, and I had a $5 coupon from using a referral link (you can too just by clicking HERE). The promised value was $45 per box. 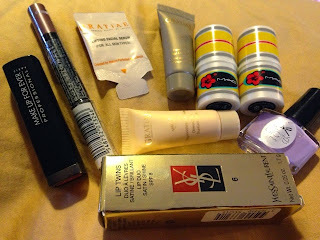 Rather than two separate "boxes," I received 1 bag of items, so it is hard to decide what would come in just one box. Also, the term "box" is apparently not to be taken literally, because they all came in a padded envelope, not a box. You would think, given all of this, I would be unhappy, but nope-- I loved it!!!! 2 Mac Blushette - 0.14 Oz : Amazon value $11.18 each ($22.36 total-- and my box just paid for itself). Obviously, I am thrilled to receive MAC cosmetics. One of my favorite brands. I don't usually wear blush, as I am VERY pale. The colors are Bound for Love and Barbara Ann. Both are very neutral, and I am honestly using them as a lipgloss. MAKEUP FOREVER Rouge Artist Intense Lipstick : Amazon value $20.00. The link shows $24.00, but there were several other places (Sephora included) that retailed them for about $20.00, so that seems like a fair "value." YVES SAINT LAURENT by Yves Saint Laurent Lip Twins : Amazon value $25.00. Link shows 7 for sale at $32.00, but several vendors average about $25.00. My favorite item that came. I LOVE LOVE LOVE this. It is a shiny lipstick and a matte lipstick in one flipping sort of tube. VERY adorable!! AND now I can use the lip brush from my Social Bliss a couple of months back! This is almost the exact value that they promised, and includes some really low (good deals) on the Amazon prices. Not a bad bargain for $20 total! And I got highly recognized brands that makes it much easier to swap! The best part is, this is not technically a subscription-- so you only order it once. It does not renew, you will not receive anything unless you want the box! You are in complete control! Box of Joy is definitely one to keep an eye on, and when they have $10 boxes again, you KNOW we will let you know! This post contains affiliate and referral links. MamaBreak will receive some sort of benefit from clicking through the links listed on this page. We only recommend products we think our readers will love. Thank you for supporting MamaBreak!